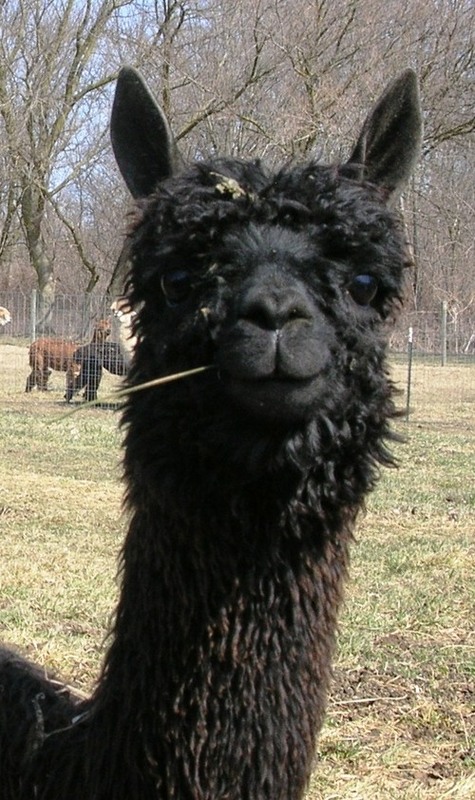 Cleo hails from Moonshadow Hills Alpacas carrying black and gray bloodlines from the famous Great Lakes Ranch breeding program. She arrived at our farm in 2010 as a "ready to breed maiden" but carrying a surprise for us. She gave birth to a lovely true black male in August 2010 - a complete surprise that she hid well and delivered unassisted. Her cria, Perseid was a healthy, lustrous stretchy and strong male with attitude! Cleo has a fluffy style of soft gray fleece, a delightful suri fleece for spinning into soft, lustrous yarn. 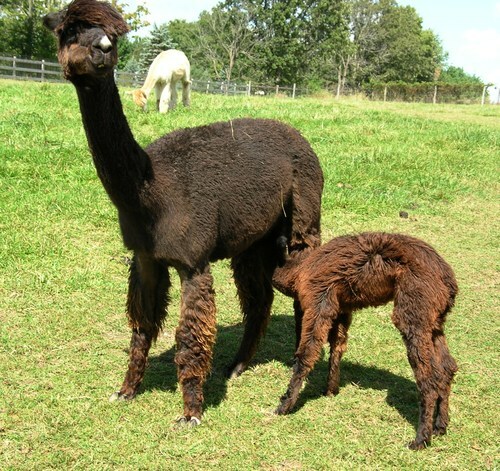 She carries the bloodlines, structure and traits to produce award winning cria when bred to high end studs. Cleo gets along well with others in the herd, she isn't pushy or too shy. She is proven able to produce true black Suri crias!